represents Peace and Long Life. as the size of the hand-folded cranes. 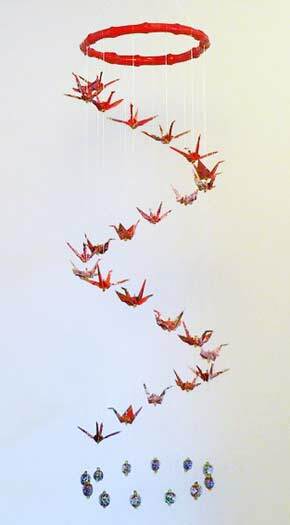 origami crane spiral is an original creation. Japanese Silksreen (each different); white Japanese Crane Paper; custom colors.